The team at Thrive OT Services accept referrals either directly or through Schools, Local Education Authorities, NHS Authorities, and other professionals including Educational Psychologists, Speech and Language Therapists and Physiotherapists. or during school hours phone Alison on 07954 241052 or Jennifer on 07731 672295. We work to high standards providing quality assurances, complying with the Data Protection Act 2018 ( the UK’s implementation of the General Data Protection Regulation). All our Occupational Therapists are members of the Royal College of Occupational Therapists (RCOT), HCPC registered, fully insured and have annual DBS enhanced certificates. Lynn joined us in 2018 as one of our most experienced occupational therapists. 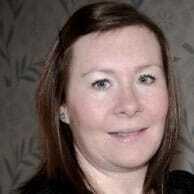 Lynn is an Advanced Practitioner in Ayres Sensory Integration and has completed assessments and reports for tribunals. She works part time as an associate carrying out assessments and treatment with children in and around Northamptonshire. Claire worked and volunteered with Thrive OTS during her training at Northampton University. Following qualification in 2017 she joined Cindy at a school in Milton Keynes, and has since added two more schools to her week. Claire uses an embedded approach at her schools, meeting with teachers and the SENCO to ensure there is a universal impact at school. Stacey joined us during 2017 to work part time in both school and home settings. She works with children with additional needs, completing assessments and recommended therapy sessions. Stacey has many years of experience working with clients with an autism diagnosis. She has post graduate training and experience in Ayres Sensory Integration. Jackie joined us in 2017 as a part time associate. 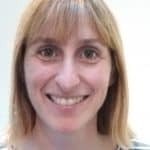 She works closely with the Post Adoption team in Northampton, carrying out assessments and therapy sessions for children with developmental, social and emotional difficulties. 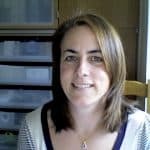 Jackie has post graduate training Ayres Sensory Integration and has training in Sensory Attachment Intervention with Eodhain Breathnach. Alison joined Thrive Occupational Therapy Services during the Summer of 2017. She works part time with Thrive OTS in a school setting. Alison is currently studying for Advanced Practitioner in Ayres Sensory Integration with the University of Ulster.